If you’re looking for a strong, fast and stable vessel then look no further than the Whitehaven Xpress! Experience the wonders of the Whitsundays from the comfortable seating of either upstairs or down, all while enjoying bar service and the best in marine amenities. 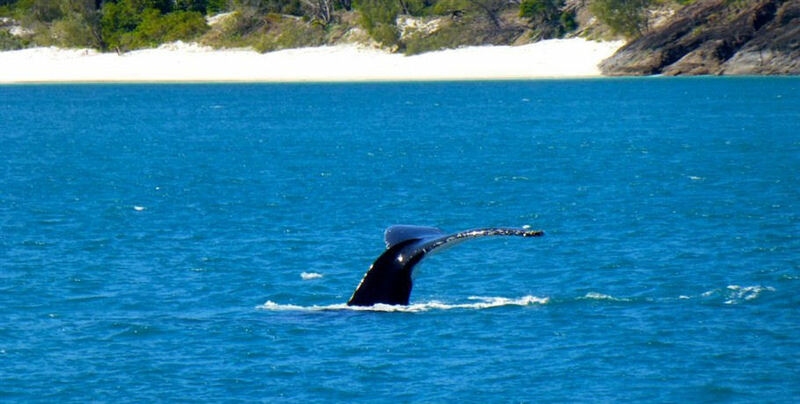 Your tour will take you past the famous resorts of the Whitsunday Islands as you head towards the spectacular Whitehaven Beach for an Aussie BBQ like no other! Your day also includes a guided bushwalk through the National Park surrounding Tongue Bay and up to the Hill Inlet Lookout for the most stunning view in the Whitsundays. The friendly crew will then take you to one of the beautiful and vibrant Great Barrier Reef snorkelling spots where you can experience the magical marine life and corals from in the water or in the “glass bottom” tender boat. 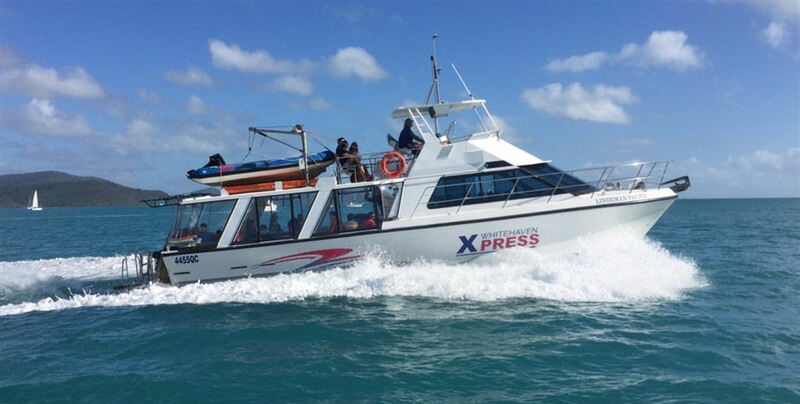 The Whitehaven Xpress minibus will collect you from your Airlie Beach accommodation and take you to the departure point at Abell Point Marina. Your friendly crew will greet you and take you to the vessel. Your first stop is the breath-taking Whitehaven Beach. You will cruise past the resorts and National Parks of the Whitsunday Islands as you head to this 7km stretch of pure white sand. The crew will take you ashore at the southern end of the beach where you can swim, stroll, or simply relax in the sun. 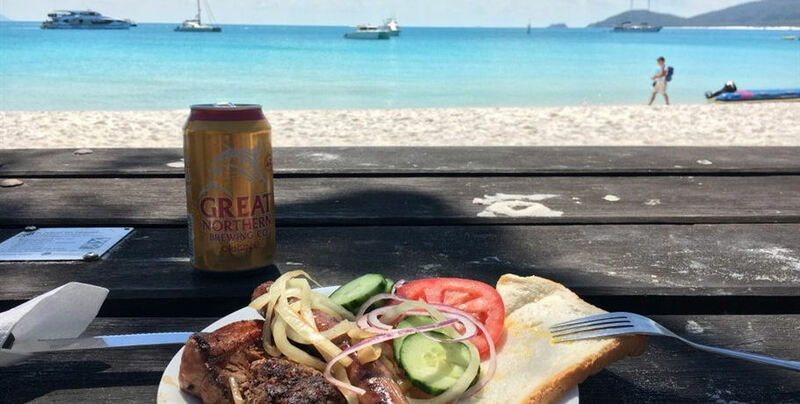 Lunch will be served Aussie BBQ style right on Whitehaven Beach. Truly an Australian experience! After lunch, you will be taken on a guided bushwalk through the National Park of Whitsunday Island and up to the stunning views of the Hill Inlet Lookout. See the swirling soft sand mix with the turquoise water of the Coral Sea for that quintessential Whitsunday view! 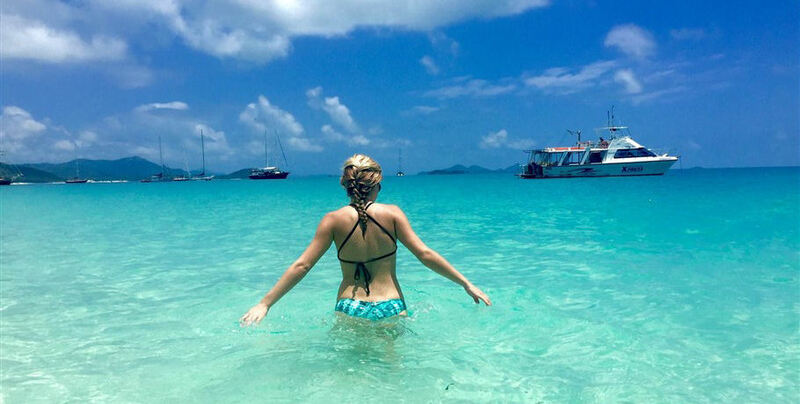 It’s back on board the Whitsunday Xpress for your short cruise to one of the Whitsundays many spectacular snorkelling locations. 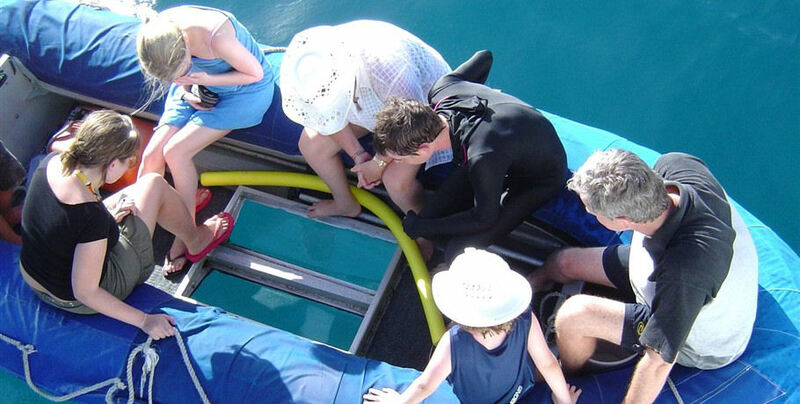 The snorkelling equipment will be provided for you but if you prefer to stay dry then the tender boat is equipped with a glass bottom for coral viewing. No one will miss out on the chance to see the vibrant coral and magical marine life! After snorkelling the tour will commence the final leg of the journey back across the water to Abell Point Marina where the courtesy minibus awaits to take you home.